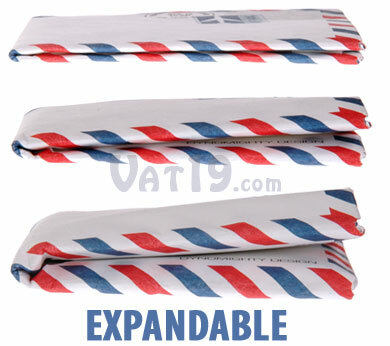 A durable, expandable wallet made from a single sheet of Tyvek. The Mighty Wallet is a tear-resistant, water-resistant, and stain-resistant wallet. 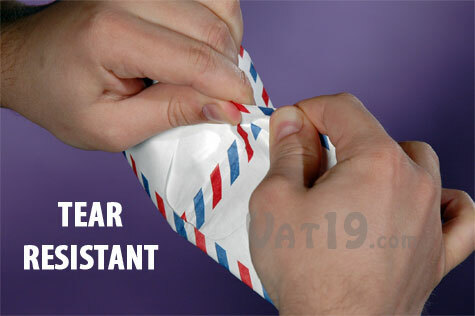 It is made from a single, ingeniously folded sheet of Tyvek (the same material used in Express Mail envelopes). The Mighty Wallet is extremely slim, but is designed to expand its capacity with use. It features two pockets for cash, two outside pockets, and two credit card pockets capable of holding 16+ credit cards. 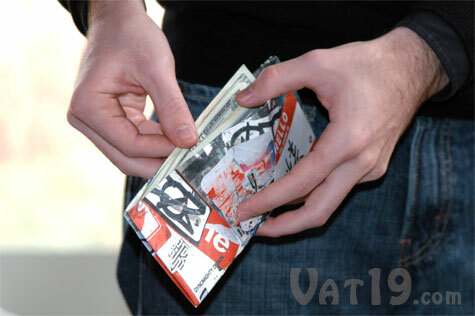 The Mighty Wallet is made from 25% recycled content and is available in several designs. Just because the Mighty Wallet is made out of a single sheet of Tyvek®, it doesn't mean that it isn't a full-featured wallet. Two pockets for cash and receipts. Two outside pockets. These are great for holding business cards, parking cards, or punch cards for your favorite doughnut shop (the 13th one is free, baby!). Two credit card pockets. Each pocket can comfortably hold 8 credit cards for a total capacity of 16. The Mighty Wallet features tremendous capacity for your cash and cards. 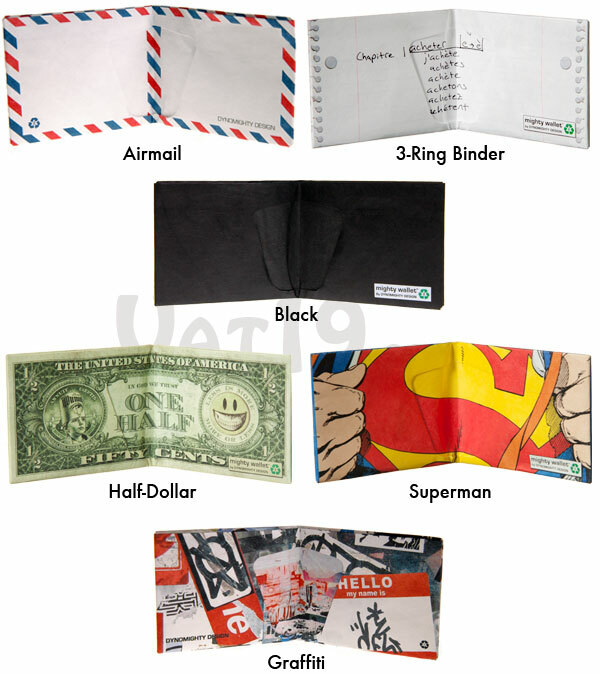 The Mighty Wallet can comfortably hold a considerable amount of cash and cards. Fitting eight credit cards into each credit card pocket is not a struggle. 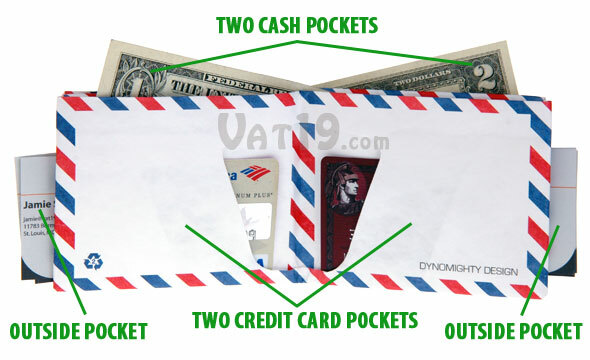 The two cash pockets can easily hold 15-20 bills each. The outside pockets can each accommodate 10-15 business cards (about 1/8" thick). The Mighty Wallet features two cash pockets. The Mighty Wallet is extremely slim, yet it is designed to expand as you stuff more and more credit cards, receipts, gift cards, business cards, gym memberships, VIP cards to the local sub shop, parking tickets, and other items you simply cannot live without. It's a good thing Tyvek® wallets are expandable! Despite its thin profile, the Mighty Wallet can expand dramatically to accommodate your storage needs. 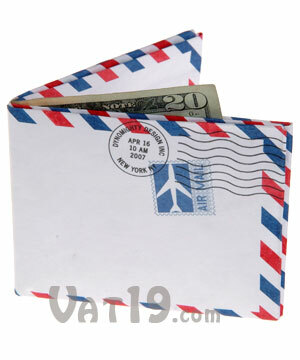 The Mighty Wallet is made from Tyvek®, which is an extremely strong and durable microfiber. It's the same material used in Express Mail envelopes. The material will not tear, yet it can be stretched. And since the Mighty Wallet is made from a single, folded sheet of Tyvek®, it doesn't have any weak seams or glue points. 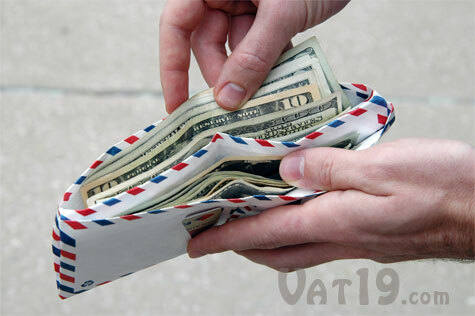 The Mighty Wallet is made from tough Tyvek®, so it won't tear. 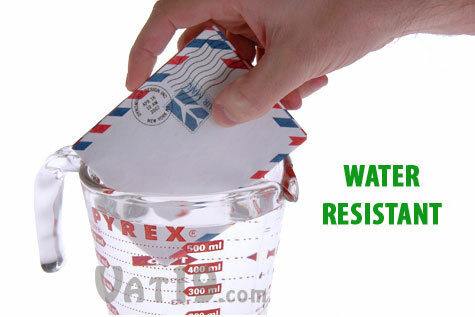 Tyvek® is also water-resistant. Therefore, so is your Mighty Wallet. Now, this doesn't mean that you should go scuba diving with it. However, a Tyvek® wallet is not going to weaken or disintegrate if it gets wet. The Mighty Wallet is also water resistant.